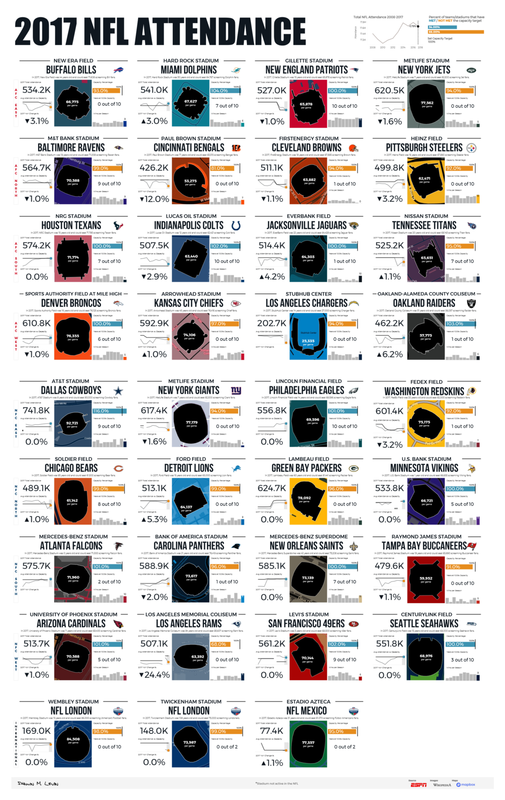 Created a poster style small multiple dashboard visualization of each NFL stadium using custom geo-coded polygons for the stadiums and custom map backgrounds to match each teams logo. As part of the #VizForSocialGood project, I created this visualization for the African Youth Mentorship Network, highlighting the negative impact of not having a present father in your life. As part of a homework assignment for my Data Visualization class, I created this visualization using several mapping techniques, including a bivariate map and the Albers projection.